Newsom’s budget calls for $1.5 billion of bond sales in 2019-20 for the School Facility Program, an increase from $653 million in 2017-18. His proposal would also fund 10 additional positions for the Office of Public School Construction to process and administer project applications. CSBA has been a leading advocate on the issue, working with a coalition comprised of the Coalition of Adequate School Housing, the Association of California School Administrators and others during the past year to better inform the Legislature about the growing backlog of projects. CSBA also wrote an open letter to California’s gubernatorial candidates asking them to release the full $7 billion in Prop 51 funds. The letter appeared as an advertisement in the Aug. 10 editions of the Los Angeles Times, Sacramento Bee, San Diego Union Tribune and Bay Area News Group newspapers. In further promising funding news, Newsom seeks to dramatically expand funding for eligible districts to construct new or retrofit facilities for full-day kindergarten programs. The board approved the program’s regulations and authorized nearly $100 million in one-time funds at its Oct. 24 meeting. For the first application period ending Jan. 31, the OPSC has received 49 applications for more than $69 million in funds. With the high interest, Silverman said Newsom’s proposed $750 million in additional one-time non-Proposition 98 funds would come at an opportune time to assist districts. The Governor’s proposal says districts will also be able to use savings to fund other activities that reduce barriers to providing full-day kindergarten, in addition to funding facilities. Doing what they can to aid Paradise’s rebuilding process after the Camp Fire, board members moved the school district’s high school gymnasium project to the front of the line. Paradise Unified officials applied for $5.4 million in modernization funds in January 2018 to replace existing portable classrooms with a new, 14,970-square-foot gym. Added to the long OPSC workload list, the district filed an appeal to expedite the project after the deadly Camp Fire in November. As the community rebuilds, district officials said construction costs are expected to rise significantly with the increased demand for architects, contractors and materials. This means an earlier project start date could save the district and state considerable funds. “Additionally, while there is much work to be done, the construction of the new gymnasium would greatly assist the district with bringing its student community back together,” the district said in an appeal delivered to the board. The appeal also revises the cost estimate to $5.2 million and increases the number of students to be served. With board consensus that prioritizing the project is outside of the usual procedures, members said doing so was the appropriate step considering the district’s unprecedented circumstances. OPSC staff will now make the adjustment and include the project’s apportionment on the next consent agenda. The next SAB meeting is scheduled for 4 p.m. Feb. 27. “This community is really working hard to recover,” new board member and Assemblymember James Gallagher (R-Yuba City) said of his constituents in the hard-hit area. “They’ve been through a lot.” Gallagher also said he and a group of other legislators were recently in Paradise touring the area and surveying the recovery process. CSBA Legislative Advocate Eric Bakke likewise shared the organization’s support for the ravaged school district and its community, saying he has heard many dramatic stories of fire recovery from CSBA Immediate Past-President Mike Walsh, who serves on the Butte County Board of Education. 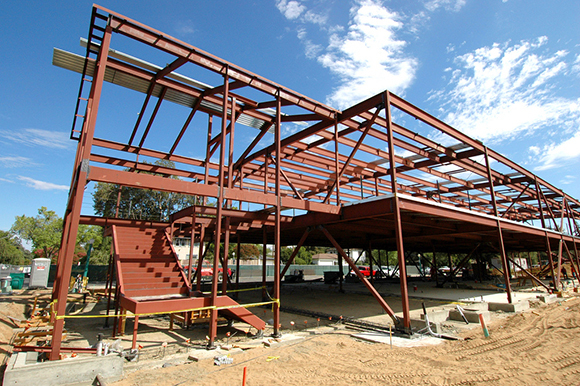 The fifth Career Technical Education Facilities Program funding cycle is in progress. The California Department of Education has received 299 applications requesting more than $571 million. CDE is scoring those applications and plan to release the scores by Jan. 24. Applicants that receive a score of at least 105 points have until Feb. 15 to submit a funding application, with OPSC staff intending to present those applications to the board in May. After this funding cycle, the OPSC projects there will be roughly $250 million in available funding for a sixth funding cycle.